The 'Lil Monkey Dome climber by TP Toys, combining outdoor fun with technology. The bars are made of sturdy, strong plastic tubes which are flexible yet safe to climb on. 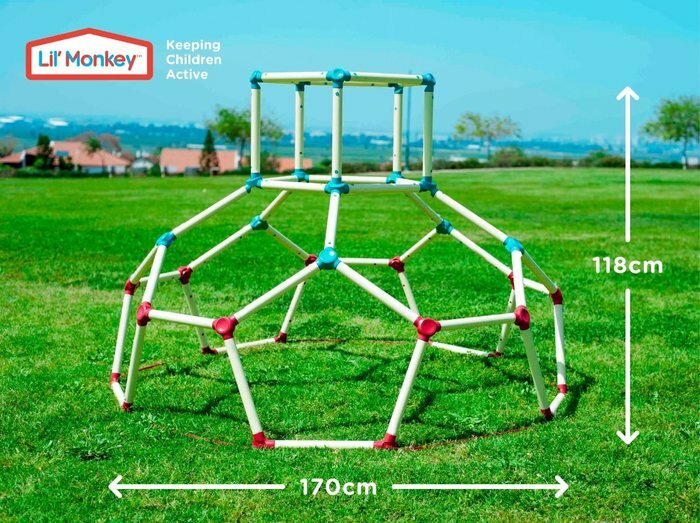 Simple and easy to assemble for hours of active play. 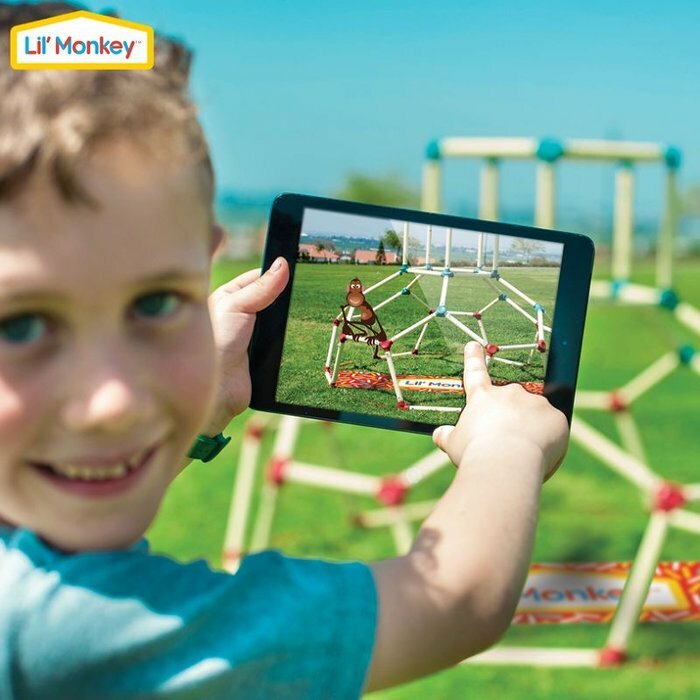 A fun, free educational App is included and designed to develop cognitive, social and creative skills - for a world of virtual fun! This product must be anchored to avoid instability and movement during play. Stakes are included and must be used. The App uses state of the art Augmented Reality Technology to bring the Monkey Dome to life on screen. The App cleverly detects the location of the child and the Dome. When the child moves around the Dome, the App will identify the location of the child and reveal a world of virtual fun! A 'Lil Monkey character will appear and instruct the child to feed him with fruits and discover treasurers to win points. The player gets points by completing objectives as quickly as possible. The quicker the child, the better chance of winning loads of points! 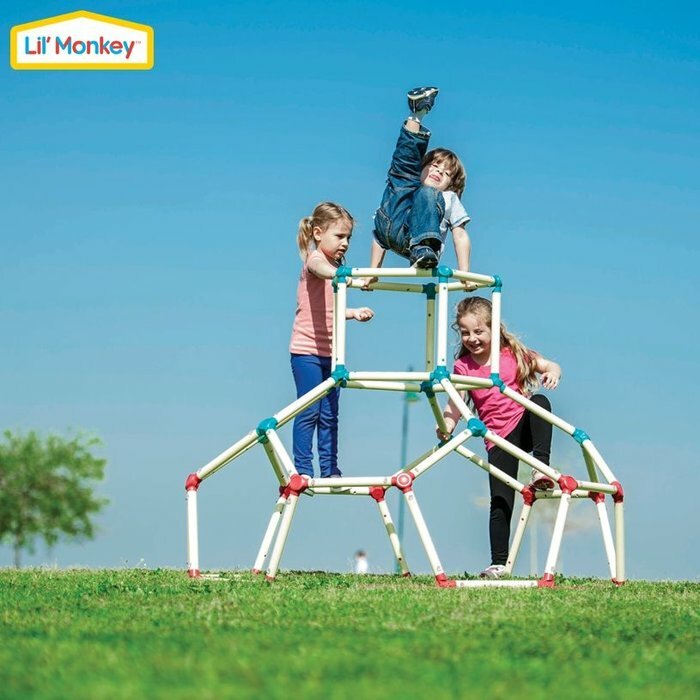 Write a review about "Lil Monkey Climbing Dome"
We'd love to hear your opinion! 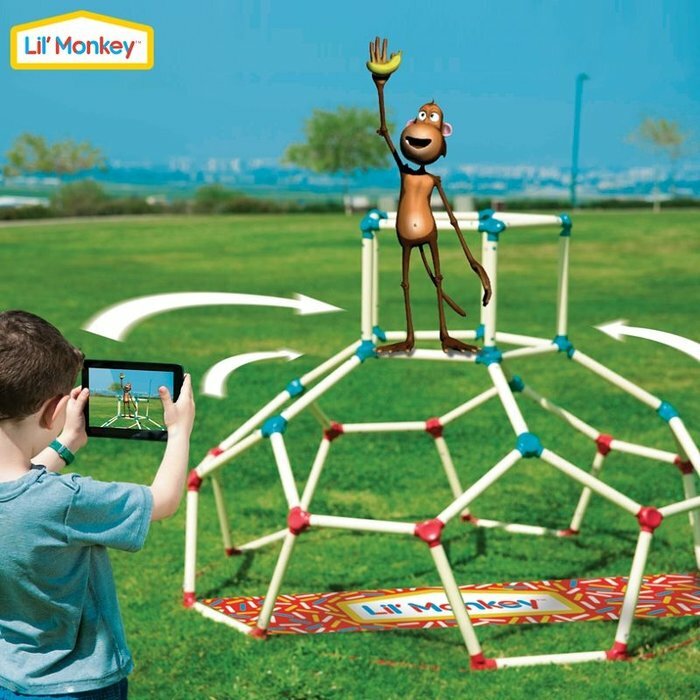 Write a review on “Lil Monkey Climbing Dome” today.